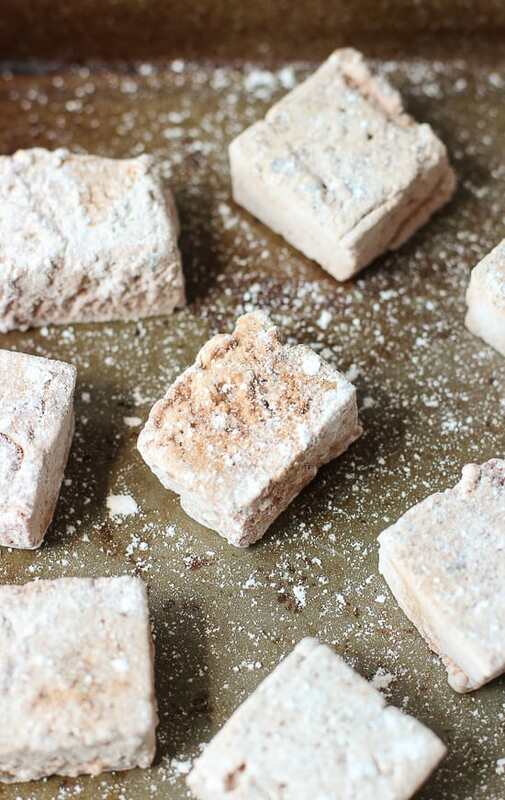 Jazz up s’mores, hot chocolate, and more with these Chocolate Irish Cream Marshmallows! A standard marshmallow recipe is fancied up by the addition of cocoa powder, instant espresso powder, and Irish cream liqueur. 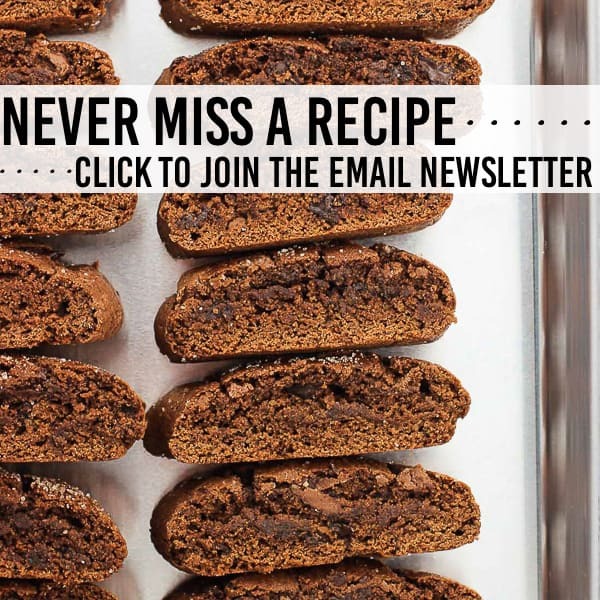 You’ll be craving these chocolate and coffee flavored sweet treats on their own! Let’s talk about s’mores season. It’s here! And while I’ll never knock a classic, I’ve been cheating on the old s’mores standby of standard grahams, a big puffy marshmallow, and a few squares of milk chocolate. It started with an easy switch of using dark chocolate in place of milk (yes), and then I swapped the chocolate square for a peanut butter cup (ohhh yes). 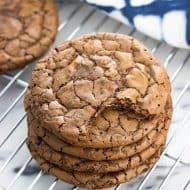 Thennn chocolate grahams snuck into the mix (here’s my favorite homemade version). And then raspberry marshmallows…and the wheels haven’t stopped turning since. With summer approaching (I’d say by the humidity and upper 90s – it’s already here), s’mores are a necessity. 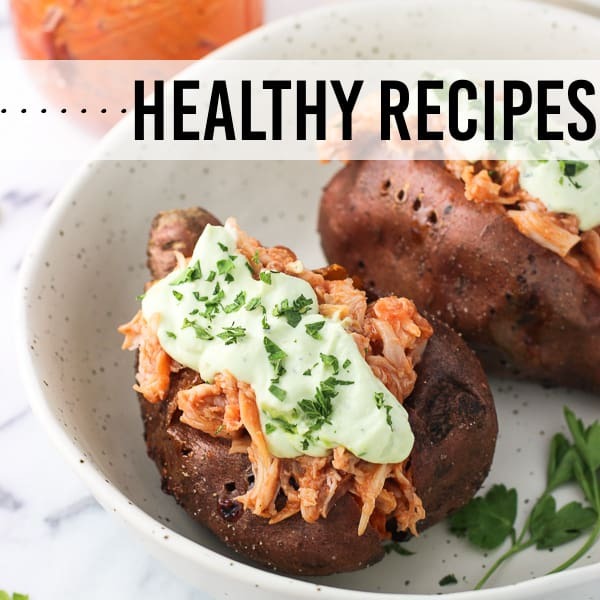 Something I cannot wait for is that my friends are heading south to visit Nashville in a few weeks, and besides being ridiculously excited about it, I am ALL ears hearing any recipe requests they have. Feeding four extra mouths most definitely justifies whipping up dessert recipes that yield a ton more sweets than the two of us typically can handle. Well, handle with dignity, that is. 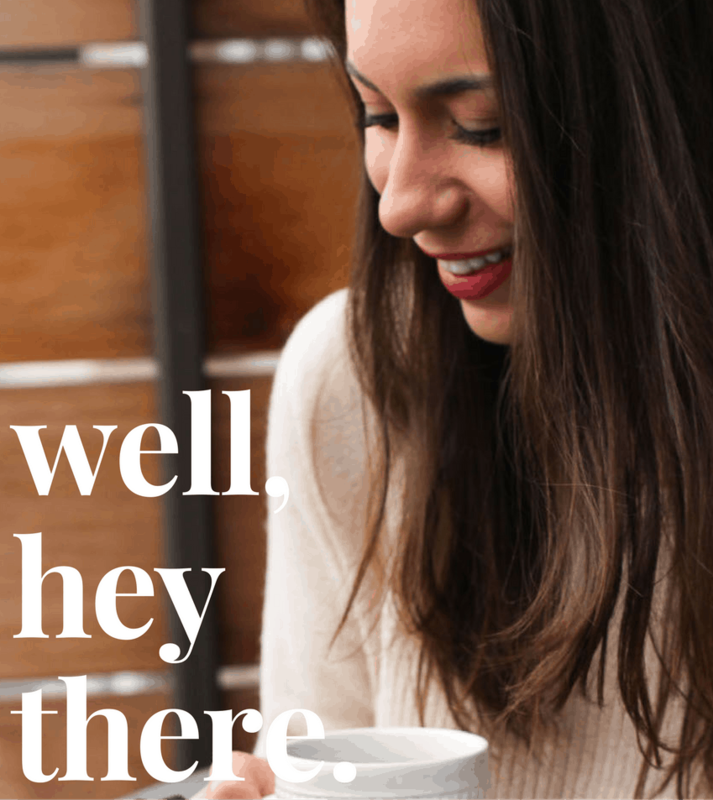 😉 So when the suggestion of boozy marshmallows came up…I was on it. Marshmallows are one of those things that I love, but don’t typically think to make at home. 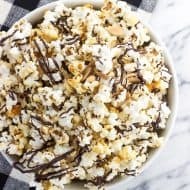 Some recipes that use marshmallows are loaded with flavors (like these triple chocolate rice krispie treats) so the extra specialness of homemade marshmallows doesn’t necessarily make a big difference or make it worth the extra effort. S’mores on the other hand let these babies shiiiine! 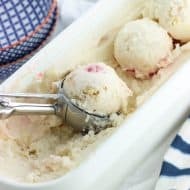 Especially the flavors of the chocolate, the espresso powder, and the Irish cream liqueur, which all come through equally. 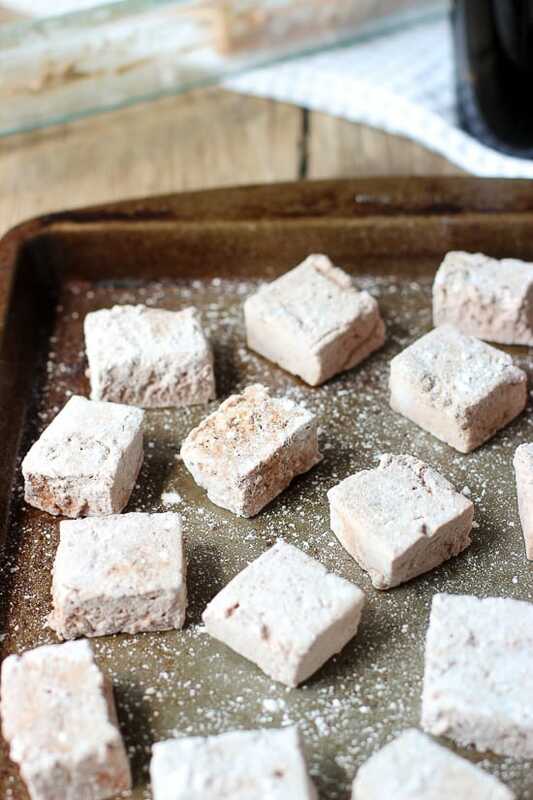 You’ll need a candy thermometer for these marshmallows, as it’s important to remove the sugar mixture from the heat juuust before it reaches 240 degrees F so it doesn’t burn. 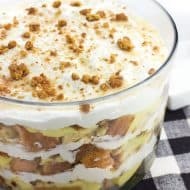 It’ll be ready very soon after the mixture begins to turn golden in color, so you’ll want to stick around the stove and keep watch as it bubbles away. 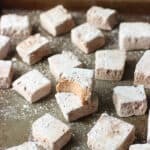 Besides the candy thermometer, the other trick to marshmallow making is to thoroughly grease any and all utensils that touch them, and to handle the marshmallows with damp hands, because they. are. sticky. Wetting your hands under the sink for a second works wonders in eliminating nearly all of the stickiness (repeat as necessary). I highly suggest tucking this one in your back pocket for hot chocolate season, but if you’re in the Southern Hemisphere, the time is now! 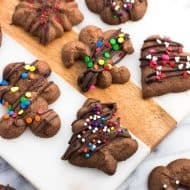 Whether you’re melting these ‘mallows between chocolate and graham crackers or sending them afloat in warm chocolatey goodness, these are a must make. Grease the bottom and sides of a 9" x 13" baking pan with butter and sprinkle 2 tbsp of confectioners' sugar into pan. Shake pan back and forth so confectioners' sugar coats the bottom and sides of the pan evenly. Set aside. Mix 1/2 cup cold water and unflavored gelatin in the bowl of a stand mixer until gelatin mostly dissolves. Mixture will still be a bit gritty. In a three-quart pot set over low-medium heat, add granulated sugar, corn syrup, salt, and remaining 1/2 cup water. Whisk until sugar has dissolved and all ingredients are mixed. Insert a candy thermometer and let mixture slowly cook and bubble, stirring occasionally. The gelatin mixture will slowly become golden in color. Remove mixture from heat when it reaches just under 240 degrees F, and slowly pour into the bowl with the water/gelatin mixture. On high speed mix for 2-3 minutes, then add vanilla extract, Irish cream liqueur, unsweetened cocoa powder, and espresso powder. 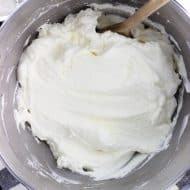 Mix on high speed for another 6-8 minutes as mixture approximately triples in volume and resembles the consistency of marshmallow creme. Pour marshmallow mixture into prepared 9" x 13" pan and, using damp hands, press top of marshmallow mixture into an even layer in the pan. If desired, sprinkle espresso powder on top of the marshmallow. 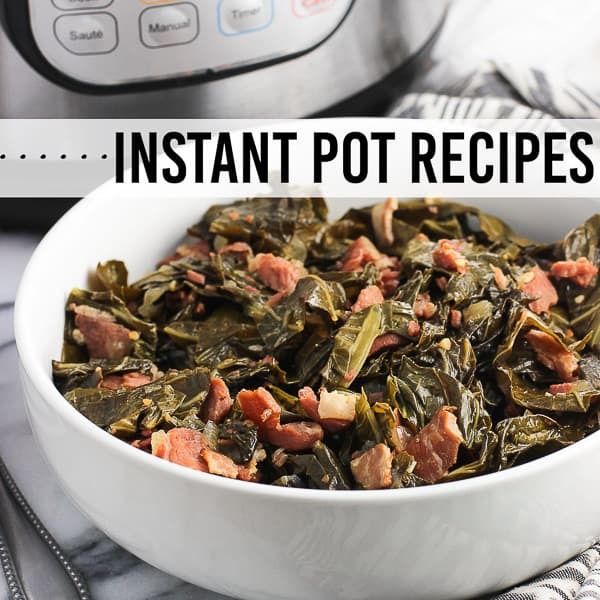 Let sit at room temperature for at least 8 hours (or overnight). 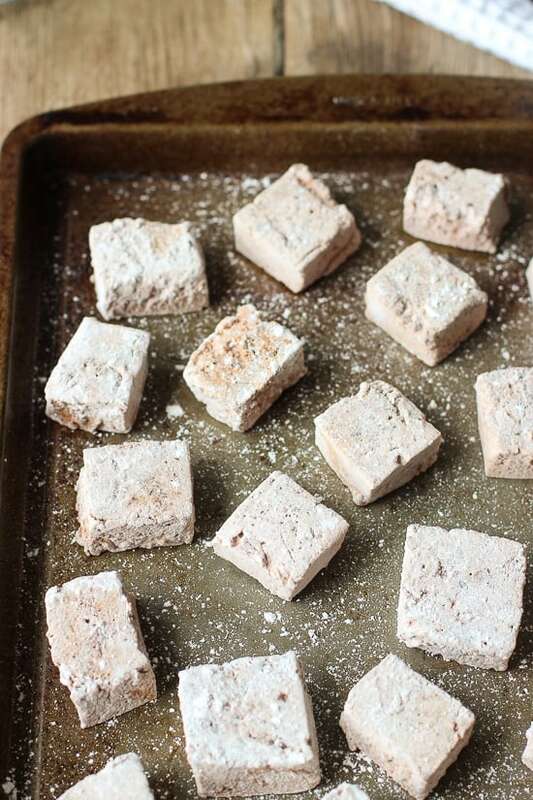 To prepare, grease a sharp knife and cut marshmallow into squares of your desired size. Press sides of marshmallows into confectioners' sugar and repeat for all marshmallows. Marshmallows may be kept at room temperature (or in the refrigerator for a cold treat!). Nutritional info is estimated for approximately 1-1/2" squares. Will vary depending on how you slice them. Marshmallow recipe adapted from Betty Crocker. I hope you have the best time when your friends come visit! And peanut butter cups on smores are the besssst! 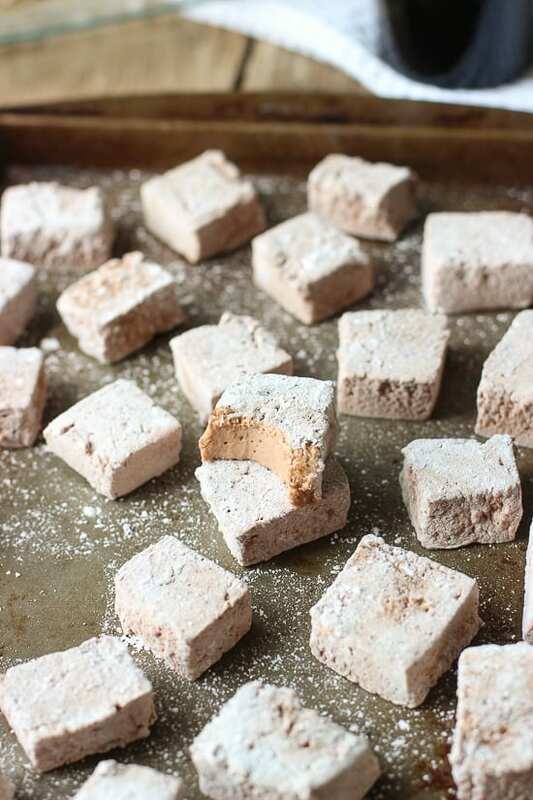 I am obsessed with this chocolate irish cream marshmallow. How good would this be in a hot chocolate spiked with Bailey’s. Yum! Thanks girl! And WHOA is that a great idea or what? I’m definitely keeping that in mind for the winter!! I can’t believe I’ve never made marshmallows before…these look amazing, and the thought of these guys in a s’more just sounds unreal! I’ve never made homemade marshmallows before. These sound so good! They’re a little bit more work than opening a store-bought bag, but homemade ones are definitely a special treat! Thanks Christin! Thanks Sues! I don’t really make them that often because I’m not sure my willpower can handle having a million marshmallows sitting around with just two of us here, but when I do it’s a total treat!